DSLR cameras are notoriously expensive, especially when you add in extra lenses and kit, this can make some people nervous about taking them out and about, but what's the use of that great camera if it's safely tucked away at home? Instead why not insure your camera and kit and get snapping with peace of mind. If you're looking to insure laptops on behalf of your company, check out our business insurance. Scroll down for more information about our what gadgets we insure. Covers accidentally cracked screens, spilling a cup of tea on your camera, and any other damage that prevents the camera from functioning normally. Accidental damage does not cover general wear and tear or purely cosmetic damage. Covers you for repairs and replacements to your camera if it suddenly stops working outside the manufacturer's warranty. By renewing your policy with us you can continue to cover your camera for a further 5 years. This policy keeps you covered anywhere in the world for as long as you need. Most insurers limit your allowed trip length. Covers you for any damage or loss resulting from your phone being stolen, as long as it is in your possession or stored in a secure place out of sight. If your camera is lost or stolen we will cover up to £10,000 of unauthorised calls. We'll replace any accessories (up to £150) if they are damaged, stolen or lost at the same time as your camera. To find out more about what we cover, and any exclusions, please read our terms and conditions. Our DSLR insurance covers the camera itself and a lens (if it was bought as part of a package). We understand that many photographers and DSLR users have a lot of extra equipment, that is just as valuable as the camera itself. With Tinhat you can add all your gear to one policy in order to give you peace of mind when you're snapping. All you have to do is add your gear to your order when you are purchasing your policy. At Tinhat, if you make a claim your excess will be £50 for gadgets valued up to £400, £75 for phones up to £750 and £100 for gadgets valued at £751 or more. It's the same for all types of claim. Unlike many insurance policies your gadget is also covered while being used by immediate family, with no restrictions on their age. This also means that if you want to insure your child's gadgets you can do so in your name. Some insurers impose limits on the number of claims you can make, or have different limits for accidental damage and loss claims. At Tinhat there is no limit to the number of claims that you can make. If your gadget is less than 60 days old, we'll cover it from the date that you purchase your policy. So if you buy your gadget insurance today, you can get peace of mind straight away. Second hand gadgets - unfortunately we can't cover any second hand cameras. That includes second hand laptops bought from private individuals and also second hand goods stores like CeX. Cameras bought more than 12 months ago - if you bought your camera more than 12 months ago you won't be able to insure it with Tinhat. 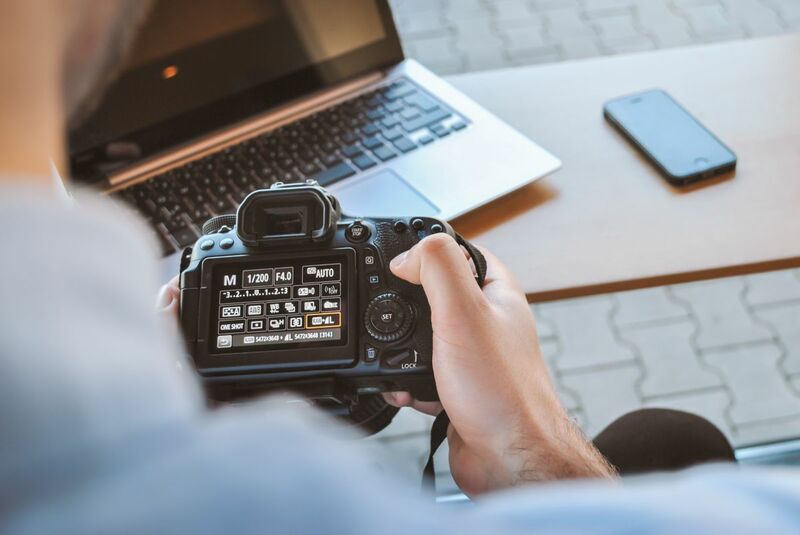 Refurbished laptops that weren't bought without a 12-month warranty - we can't insure refurbished cameras that were bought without at least a 12-month warranty. Claims for incidents within the first 14 days of taking out your policy (unless your laptop is less than 60 days) - this is to help us prevent fraudulent claims, which in turn allows us to provide affordable insurance to our genuine customers. Cosmetic Damage - our insurance policies don't cover things like scratches, stains or minor chips to the body of your laptop. We can repair your laptop if it's broken, but we can't restore it to new condition. Theft from inside commercial vehicles - so if you're a taxi driver, this insurance won't cover you for theft while you're using your vehicle. Theft from an unattended personal vehicle - unless your gadget is out of view in a closed compartment and the vehicle is locked. Theft in a public place where your gadget is left unattended - for example, if you leave your gadget on a pub table and it's stolen while you go to buy a drink. Our insurance still requires you to take reasonable precautions to protect your gadget. Please get in touch with us at sales@tinhat.co.uk, and we'll be happy to help with any questions you might have.